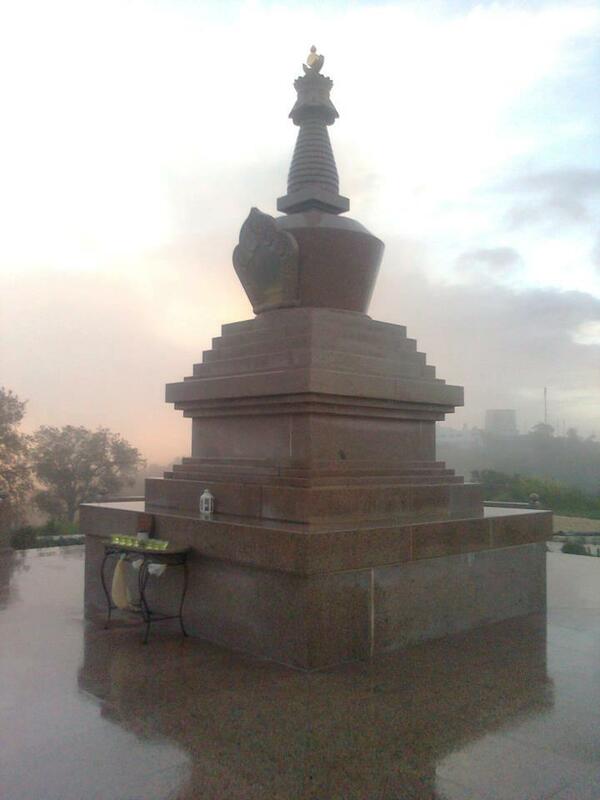 The STUPA is a monument in the Buddhist tradition that represents the mind of all enlightened beings – Buddhas. Its construction follows a rigorous set of techniques and wisdom from the millennial Tibetan Buddhist culture. 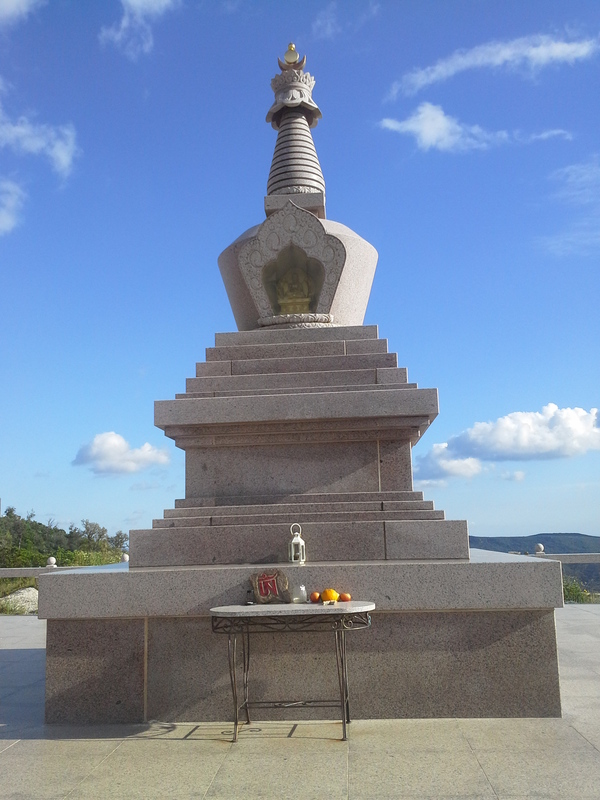 The place where this Stupa is was chosen accordingly to the principles of geomancy, it was consecrated by His Holiness Kyabje Trulshik Rinpoche and the stupa’s construction was done under the guidance and supervision of Pema Wangyal Rinpoche, Ridzin Pema Rinpoche, and Jetsün Yangchen-la. 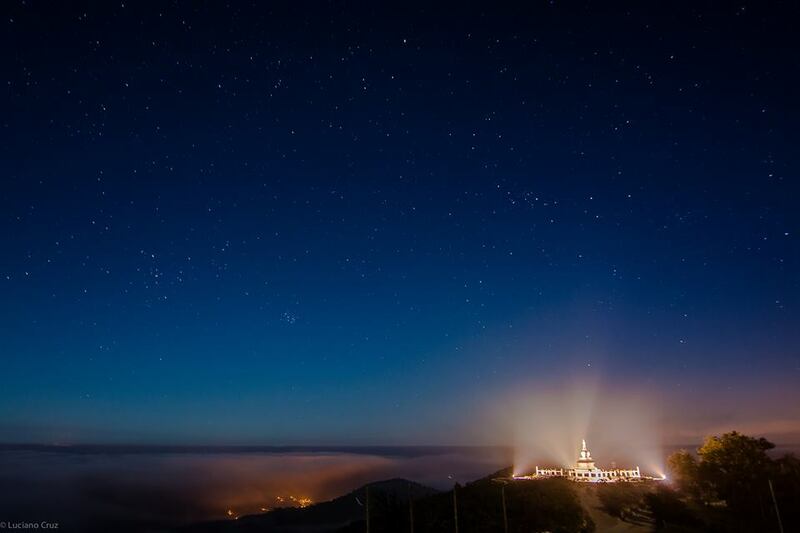 The Stupa was consecrated by Jigme Khyentse Rinpoche, Pema Wangyal Rinpoche, Rangdröl Rinpoche, and Jetsün Yanchen-la, on 24th of October,2008. 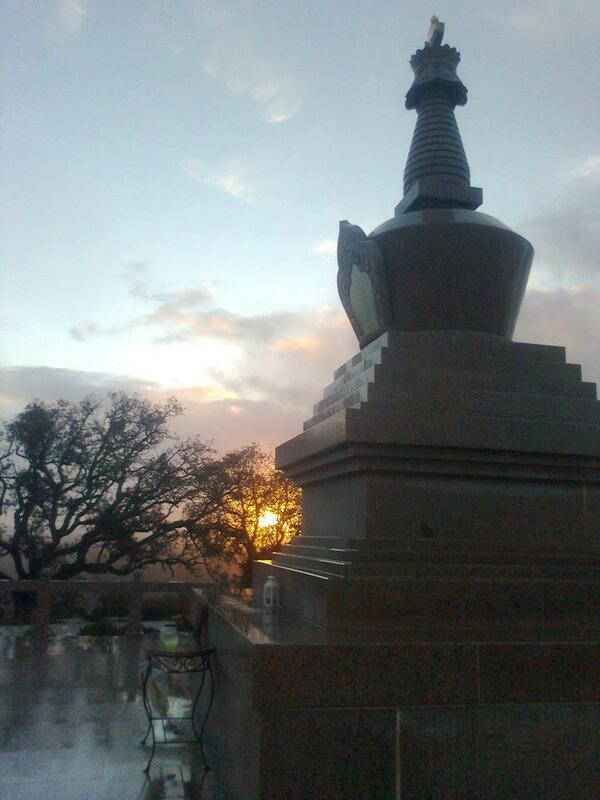 The Stupa is a symbol of potential that everyone has to achieve enlightenment. The Stupa as a monument has in its interior thousands of prayers, Buddha’s relics, statues, incense, and many other rare and precious substances and countless offerings. It has the power to restore in its neighboring environment the energy of Earth, of helping balacing its elements, of preventing natural and environmental disasters, of promoting peace, happiness, health, and prosperity. As such it is a source of positive energy, peace, prosperity, and harmony among all beings and Nature. – soothe the spirit and mind, develop well-being and a kind heart. The construction of a Stupa – symbol of the unlimited mind of an enlightened being – goes back to the time of Buddha Shakyamuni, who has encouraged his students to built such kind of monuments in auspicious places, such as the places of Buddha’s birth, enlightenment, first teaching, death or parinirvana. 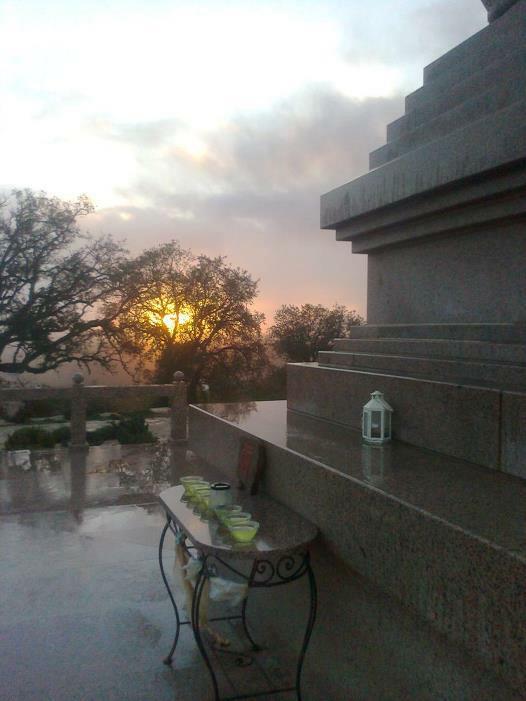 He taught that performing spiritual practices in the presence of stupas would have the same effect has making offerings to Buddha himself, and in this way the power of any practice performed in front of a Stupa would be amplified. Indeed, a Stupa built in blessed places like these increases in an unlimited way the spiritual power and provides enormous benefit for all those that visit it.